Remko van der Pols, Van Haren Publishing, 2012, ISBN 9789087533137. T his book describes ASL®2, an evolutionally improved version of ASL that was introduced in 2001. ASL, Application Services Library, is a public domain library and process framework for application management. 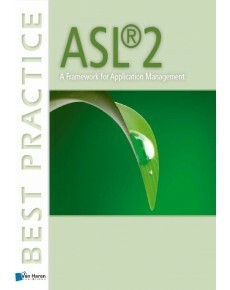 This book describes the application management processes as recognized by ASL. It also describes the finer details of these processes. This book has been written with the assumption that the reader is familiar with application management, with how it is executed, and with the activities concerned. It contains tips and suggestions to assist in the implementation of processes. Therefore it can be used as a starting point from which to set up application management processes. The ASL 2 framework supports the implementation of application management, supported by additional best practices; these can be found on the website of ASL BiSL Foundation. See ASL Best Practices. ASL 2 aligns with other frameworks e.g. ITIL® and BiSL® (for business information management). • Changes between ASL version 1 and ASL 2. This book is recommended reading for the ASL 2 Foundation exam.